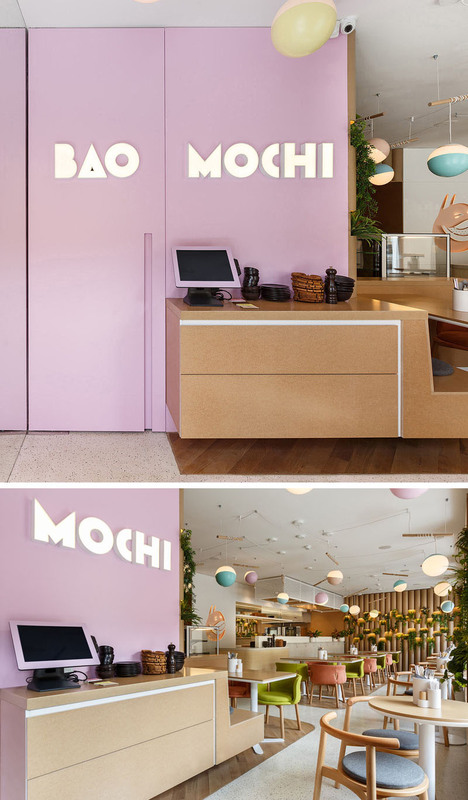 A soft purple accent wall with the “BAO MOCHI” logo greets customers as they arrive. 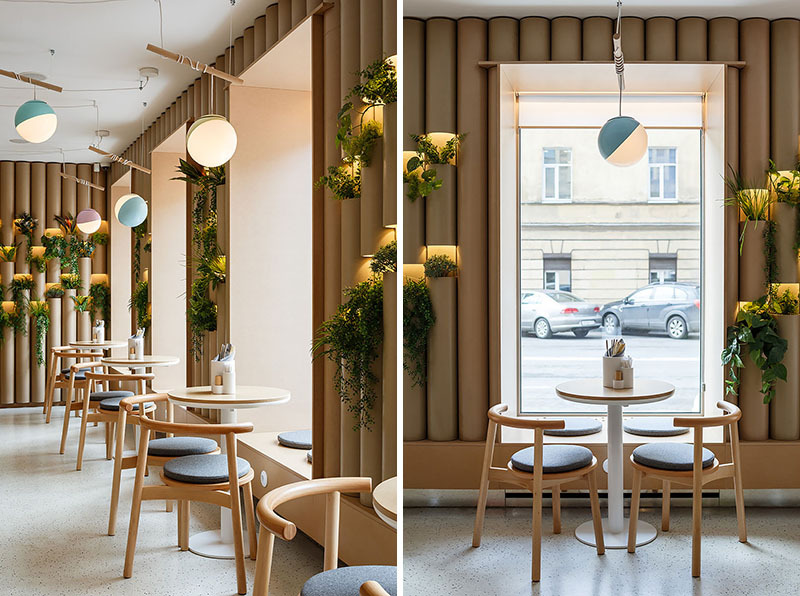 The soft purple is also present in the lighting that hangs above the tables and chairs. 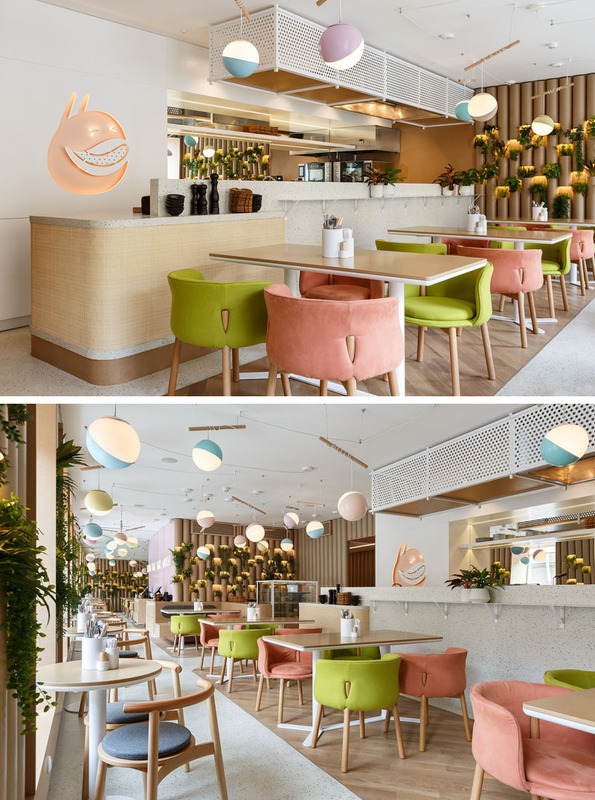 Additional colors like blue, lime green and pink have been used to add pops of color to the interior. 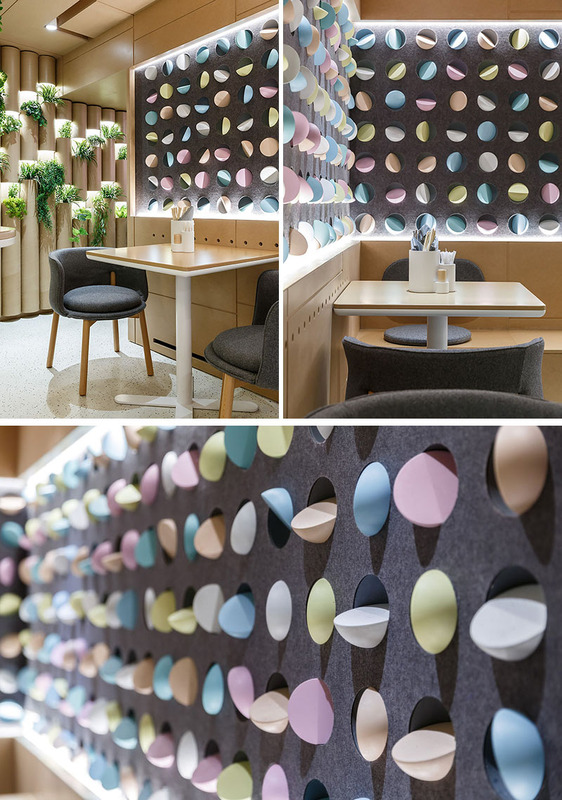 Cardboard tubes have been used to line some of the walls, and are used to create a modern interpretation of a bamboo tree, which associated everywhere with the culture of Thailand, China and Japan. 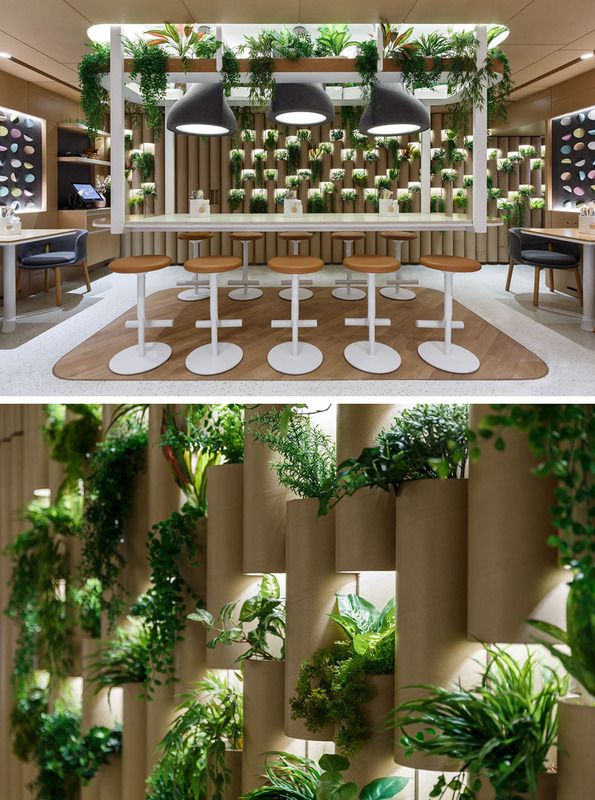 The ‘bamboo’ walls have highlighted openings to display a variety plants. 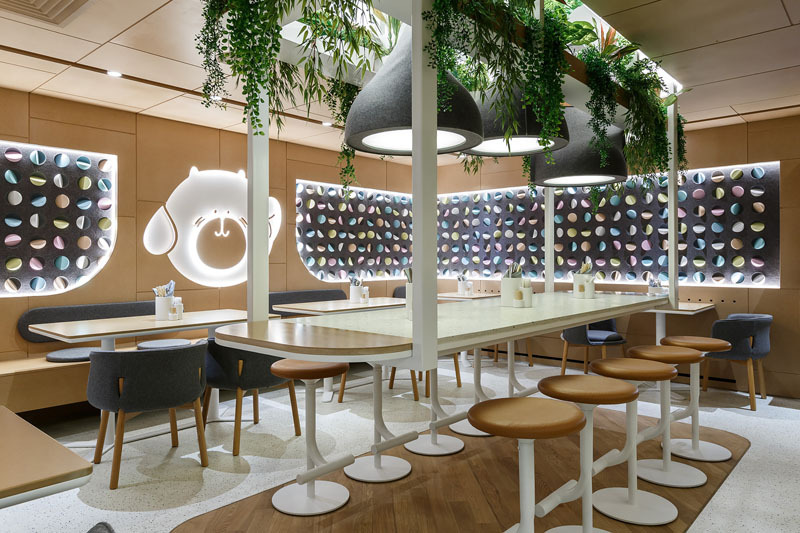 The back room of the restaurant opens to a variety of seating, like a communal bar table surrounded by stools, that sits underneath a collection of plants and three large sculptural black lights that offer diffused lighting above the bright white table. 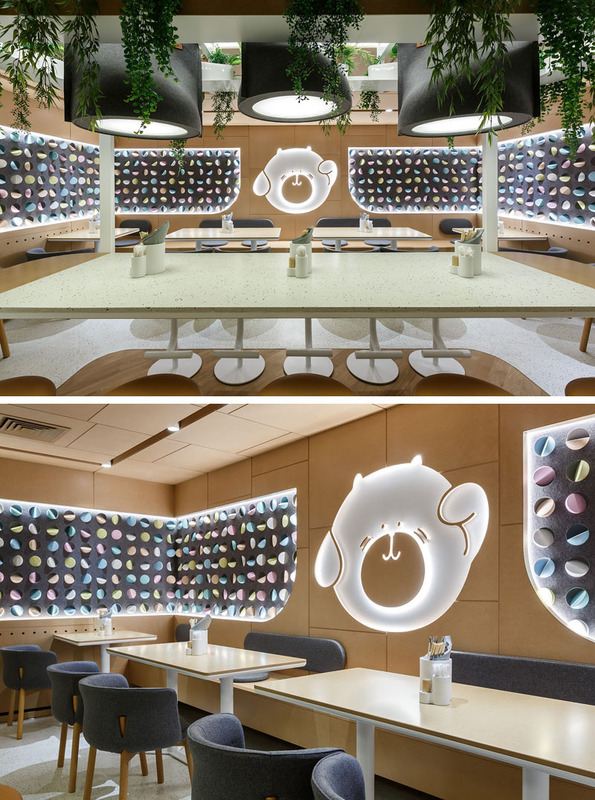 Other seating wraps around the room, while the walls are highlighted with hidden lighting and wall niches decorated with colorful Mochi-shaped elements.